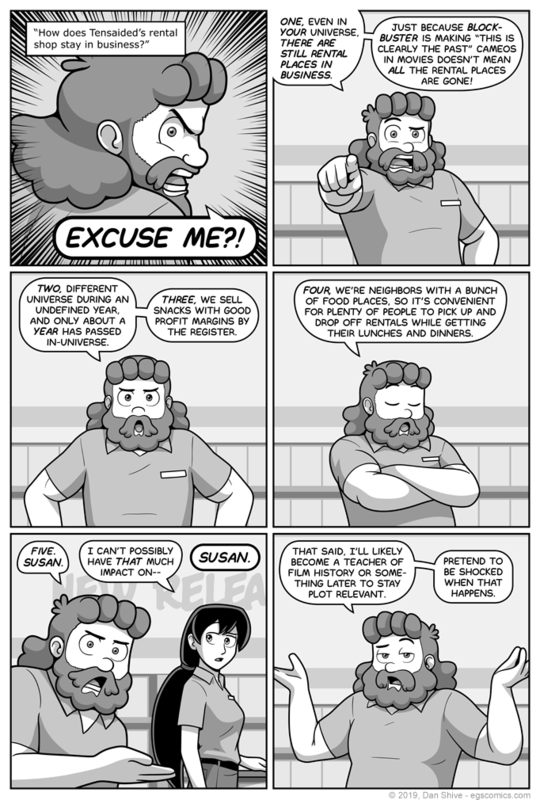 Sorry to leave Amanda and Lisa out of this comic, but Tensaided had something to say. This is an understandable question to have in our day and age, particularly given that many would not have occasion to seek out such rental places, and would likely only stumble upon them. It is 100% true that they're still out there, however. But, as I said, it's understandable to wonder about it. I'm just happy I now have this to direct people to instead of pointing out things said in panels two and three over and over again. As for the last panel, that probably will happen, and I expect each and every one of you to gasp in surprise when it does.